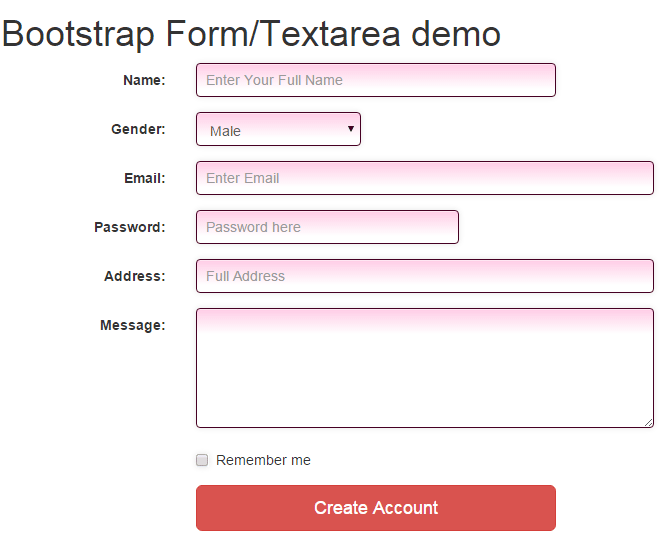 By adding the form-control class in the textarea tag, you may create multiline textarea with Bootstrap. The following example shows two text boxes with and without using the Bootstrap class. This class automatically adds 100% available width and you may also notice round borders. In the second textarea, the class is not assigned. In the following example, a text area is created along with other form controls including textboxes, a select dropdown and checkbox. All the controls are given a custom CSS class which is created inside the head section of the webpage, to change the look of the form. Along with custom class, each control is also given the Bootstrap’s form-control class. In this example, a textarea in Bootstrap is created by using a jQuery plug-in. This enables highlighting certain words as a user types in the textarea. For example, you have a form for taking the feedback about the electronic items. As a user enters electronic item like TV, Television, computer, notebook, laptop etc. these can be highlighted in the text area on the fly. First, have a look at this example and then I will explain how you may configure it on your website. After downloading the jquery.highlight-within-textarea.css and jquery.highlight-within-textarea.js, set the paths accordingly. Just change the words in the array and use it. 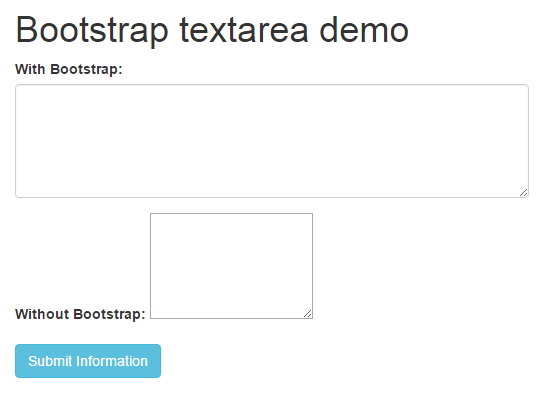 In the following example, another jQuery plug-in is used with the Bootstrap class for textarea. This plug-in adds line-numbers as text is added in the textarea. As you press enter in the textarea a new line number will be added – so letting the user know how many lines are used. To grab this simple and light-weight plug-in, go to this link. 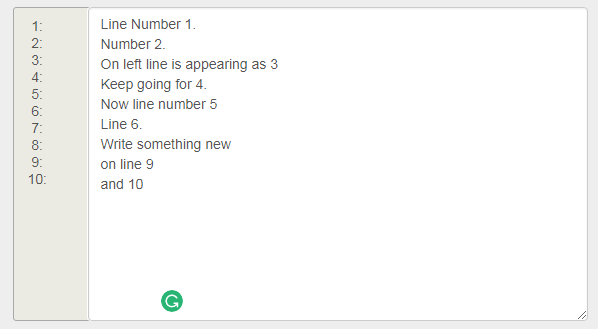 Follow these steps for creating the textarea with line numbers in Bootstrap. Also add this jQuery code in the <head> section. <textarea class="form-control" rows="15" id="demo-bootstrap-textarea-line" >Line Number 1.